Though earlier vital records have been gathered and abstracted in James N. Arnold's Vital Record of Rhode Island, 1636 1850, 21 vols. (Providence, R.I.: Narragansett Historical Publishing Co., 1891 1912), statewide reporting did not begin until 1853. 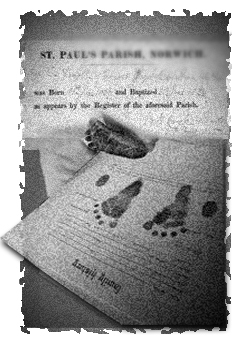 From that time, copies of vital events recorded in towns were sent to what is now the Rhode Island Division of Vital Statistics. Many records prior to 1894 are now in the state archive. Towns, for the most part, still hold originals in the clerk's office.